Huge thanks — possibly congratulations, given the limited number of vinyls pressed — to everyone from all over Europe and Australia who picked up LIVE AT L'UBU on Record Store Day/Disquaire Day on Saturday, April 13. Now that Record Store Day has passed, the album is now also available in the USA and Canada. The Apartments LIVE at L’Ubu captures one of the most dynamic performances of the September 2015 French tour, and the unique lineup of Australian, French and English players in The Apartments. The set was drawn from 2015’s No Song, No Song, No Spell, No Madrigal album augmented by others from The Apartments rich back catalogue. 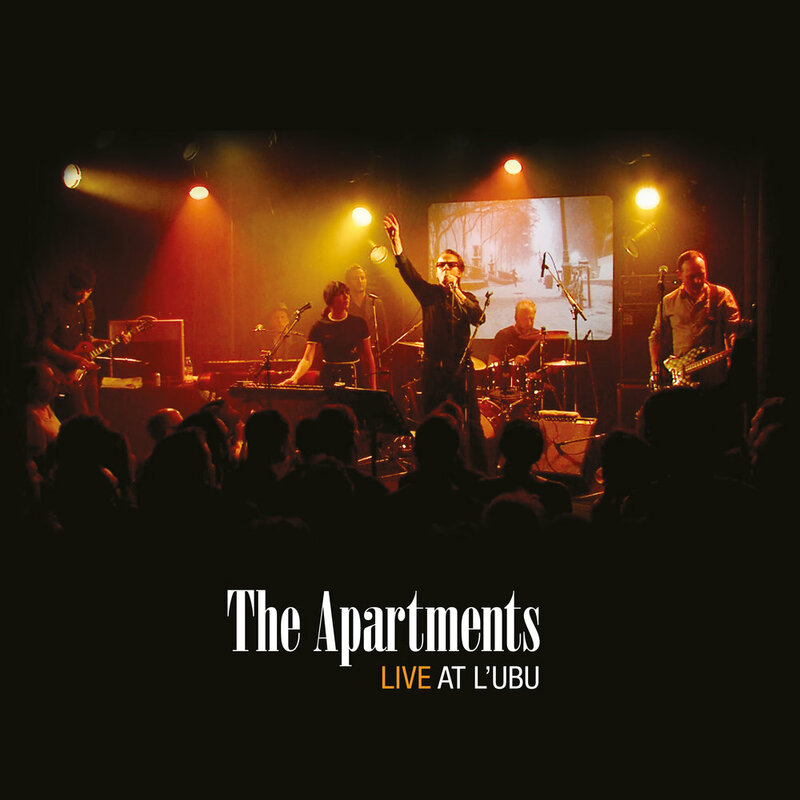 Mixed by Wayne Connolly and mastered by Don Bartley in Australia, The Apartments LIVE at L'Ubu is the greatest hits collection fans have been wanting for a long time. A DOUBLE vinyl release in stunning gatefold sleeve, only 1,000 albums have been pressed for Disquaire/Record Store Day, April 13 2019. Available via Riley Records/Talitres in record stores throughout Australia, France, UK, Italy, Spain, Germany, Austria, The Netherlands, Switzerland, Belgium, Portugal and Luxembourg. Based in Sydney, Peter Milton Walsh and his band, The Apartments, are acclaimed by critics and fans alike all over the world. Peter Milton Walsh formed The Apartments in Brisbane, 1978, and left Australia for New York a few years later, and relocated to England when The Apartments were signed by legendary English record label Rough Trade. During the years of exile and the albums which followed, The Apartments developed an intense, devoted following throughout Australia,Europe and America. The Apartments first album the evening visits...and stays for years was released in 1985. In 1992 drift was released in Australia and Europe followed by A Life Full of Farewells in 1995, fête foraine in 1996 and apart in 1997. At this point Peter Milton Walsh withdrew from public life as a musician, due to family circumstances. He returned with Seven Songs, released by Talitres on Disquaire Day 2013. Seven Songs was recorded live in Paris for Vincent Theval’s Label Pop program on France Musique. The Apartments tour line up included ex-Go-Between Amanda Brown and producer Wayne Connolly. In 2015 The Apartments 1985 debut album, the evening visits...and stays for years was reissued by Brooklyn label, Captured Tracks as an expanded edition with bonus demo tracks and liner notes by Robert Forster of The Go-Betweens and Steven Schayer of The Chills. In the same month, The Apartments new album, No Song, No Spell, No Madrigal—the first album of new material in 18 years—was released by Paris label, Microcultures. At 2015 year’s end, influential French music magazine Magic named No Song, No Spell, No Madrigal #1 Album of The Year, a position never before achieved by an Australian artist. In Australia, ABC Radio National's contemporary music show Inside Sleeve named Twenty One, a track from No Song, No Spell, No Madrigal, # 1 Song of 2015. The Apartments seven piece band with Australian, French and English players recorded a live album in September 2015 during the French promotional tour to support No Song, No Spell, No Madrigal. In 2018, Peter Milton Walsh toured France, England, Switzerland, Holland and Germany with The Apartments in trio mode, with French artists Natasha Penot and Antoine Chaperon. Both have been key Apartments collaborators for recording and touring since 2010. 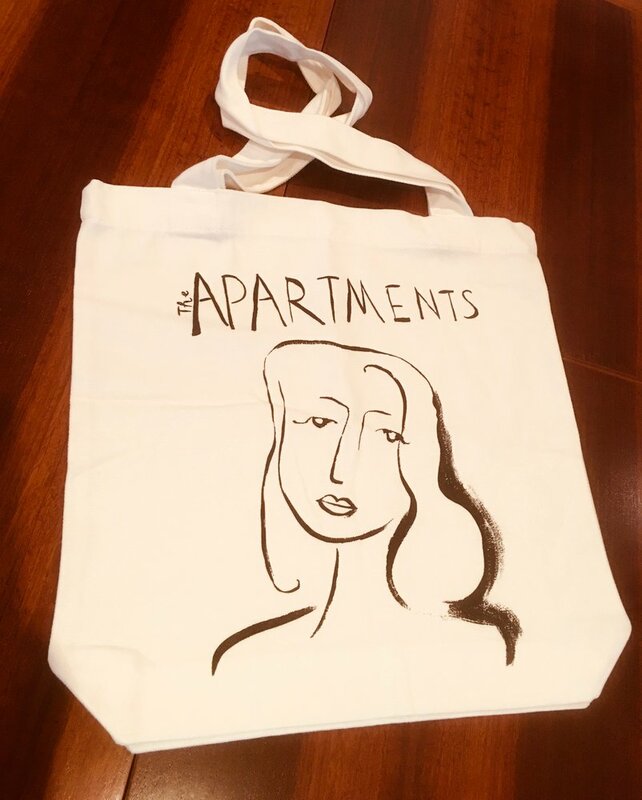 2019 sees the release of The Apartments—LIVE at L’Ubu for Disquaire/Record Store day and 2020 will see the release of the next album of new songs by The Apartments. Photos of The Apartments © Louis Teyssedou 2018. T-SHIRTS (WOMEN/MEN) AND TOTE BAGS now available through Big Cartel.